Powerbox DPC-8000-240-4P - ON SALE! - FREE Shipping! When you need the best lighting controller at the best price, look no further. The DPC-8000, represents the best in Powerbox® quality, at an affordable price. Designed for the budget-conscious individual who will not sacrifice on quality, this lighting controller is a safe and reliable solution for running up to eight 1000W lights. Designed and built in California from the same industrial-grade components as more expensive Powerbox® models, the DPC-8000 connects to 240-volt main power and provides 240-volt output power for plugging in your lighting ballasts. With a DPC-8000, you can run up to EIGHT 1,000 watt lights, synchronized from one timer. 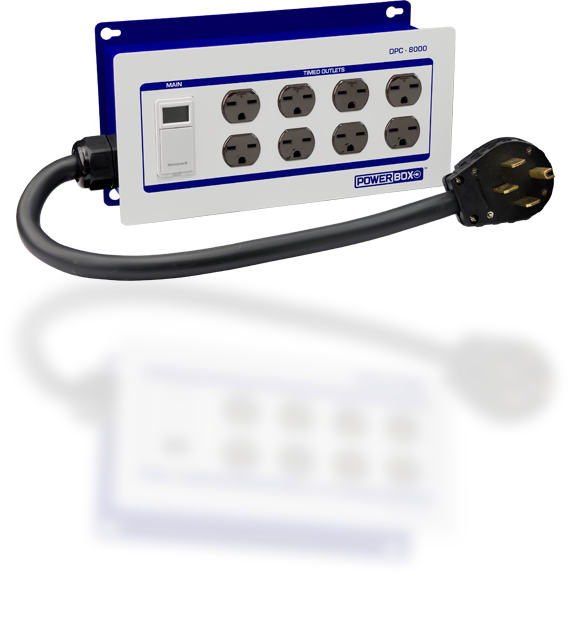 This simple controller is also great when you need to quickly deploy multiple units in convenient locations around a large facility. Just install standard 240V range-type outlets at the desired locations and quickly plug in as many as you need. The modular design makes them easy to move around so you can reconfigure your space easily. They are easy to mount to wall studs with keyhole tabs, or set on a flat surface and non-skid rubber feet prevent the unit from moving around. Constructed from the same heavy-gauge steel as every Powerbox® model, the enclosure is built to withstand harsh environments. The baked-on powder coated finish resists scratches and is easy to wipe clean. Eight NEMA type 6-15 240-volt outlet receptacles. All outlets are directly wired to lighting relays, no daisy-chaining. 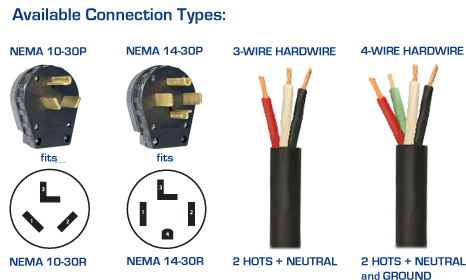 Plug & play into 3 or 4-prong range-type outlet, or hardwire.